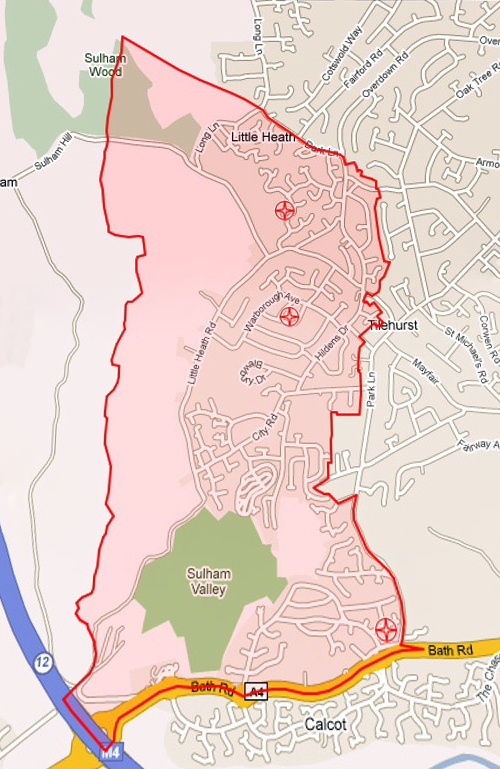 The Parish of Tilehurst : St Catherines and Calcot : St Birinus covers much of the western edge of Reading. It straddles the border of West Berkshire and Reading local authorities. We have two worship centres. The parish church is called St Catherine of Siena and is found in the heart of our parish. It is in the middle of a 1960’s housing estate in Wittenham Avenue, opposite Birch Copse primary school. Our second worshipping community is Cornwell Community Church which meets in the Cornwell Center (a council owned building) next to Cornwell Copse. This is on the edge of a 1980/90’s housing estate. More details about Cornwell Community Church can be found here. The St Birinus church building is no longer owned by the Church of England. More details can be found here. However, the church is not a building, and is not restricted to a patch of land. A church is a worshipping group of people. Why not join us ? The current parish boundary is shown on the right. Click on the map for a larger version. 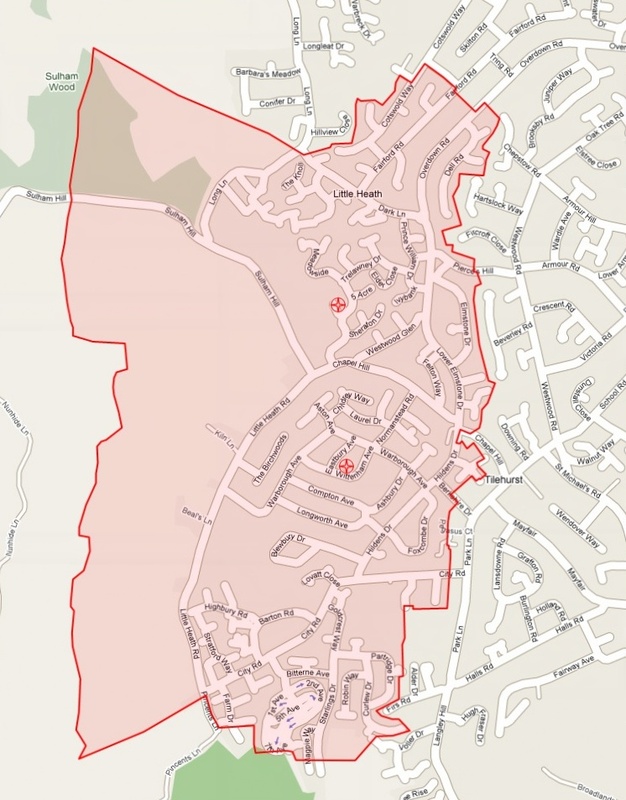 If you’re not sure whether you reside within our boundary, goto the directory of Church of England churches at https://www.achurchnearyou.com/ . 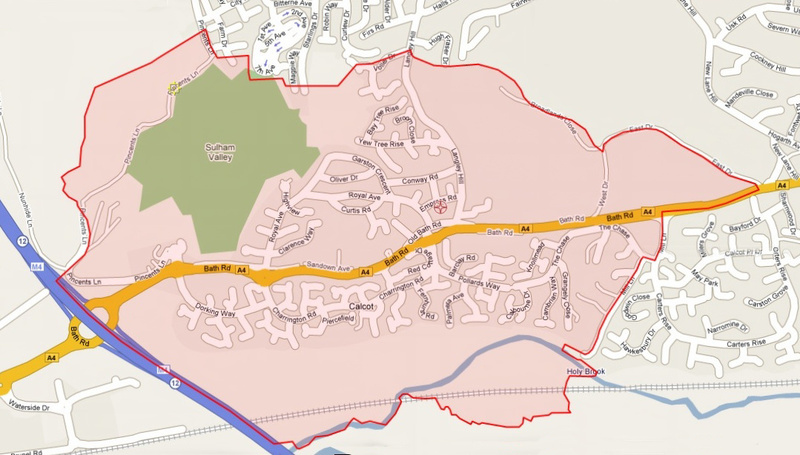 You can enter your address or postcode to see whose parish you reside in. The part of the former St. Birinus Parish, south of the A4, joined with Southcote St. Matthew. The part of the former St. Birinus Parish, east of Langley Hill, joined Tilehurst St. Michael. The part of the former St Catherine’s Parish, north east of Dark Lane, joined Tilehurst St. Mary Magdalene. The pre-2007 original boundaries of the two parishes are shown in the maps below. Click on each picture for a larger version. Original boundary of St Birinus parish.